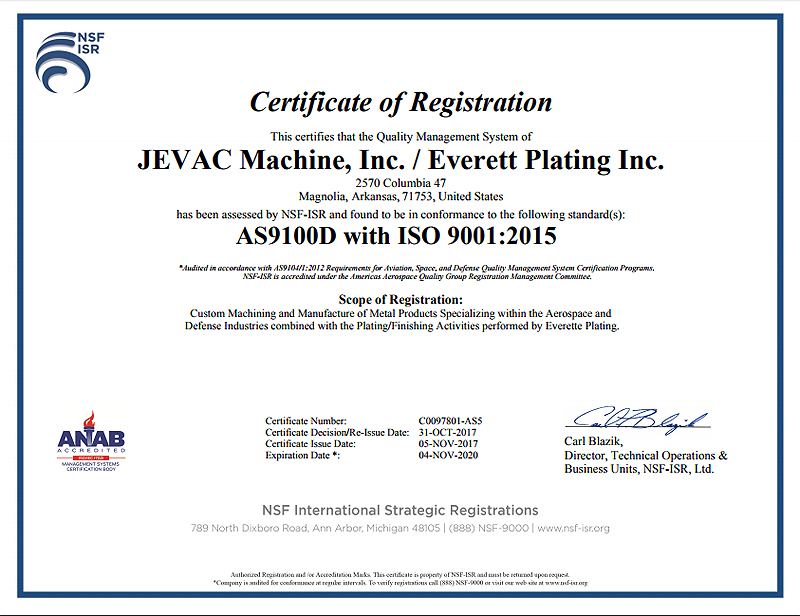 Certifications – JEVAC Machine, Inc. Does your shop perform first-article inspection? 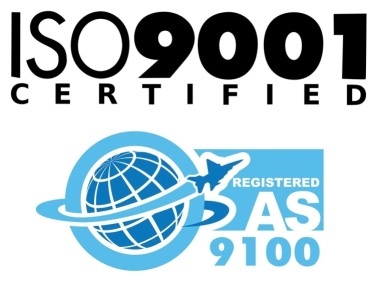 By necessity, shops adhering to the Aerospace standards must perform first-article inspections. The first-article inspection provides objective evidence that all engineering, design, and specification requirements are properly understood, accounted for, verified, and documented. Once the shop has its machining process under control and is making good parts, the first-article inspection verifies that this is indeed true. 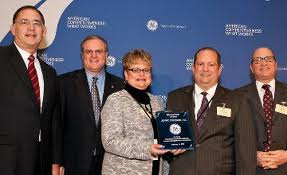 Craig and Shelly Cheatham accepting GE Award. 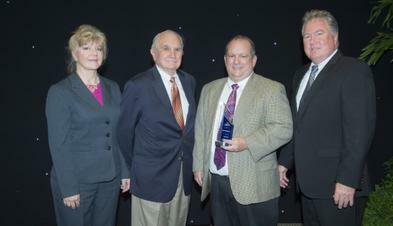 Special recognition by Lockheed Martin Missiles and Fire Control. Click photo to open newspaper article. We create high quality precision parts for demanding roles within the aerospace industry. For maximum durability and certified hardening services, we use Everett Plating, Inc.